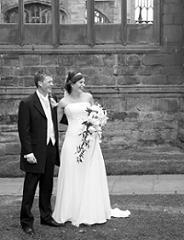 Wedding photography to us is creating relaxed, fun, posed & unposed photographic moments and capturing these on camera. In our Wedding Photography, we capture the traditional elements, reportage moments and contemporary styles which make our work stand out from other photographers. Based in Coventry, West Midlands, although we can cover any venue anywhere in the UK or overseas. Fantastic quality 20" x 16" Stretched Photo Canvas FREE !! with every booking confirmation.